In Alaska, surimi is no laughing matter. In 2016, seven onshore plants and seven offshore vessels produced 204,000 metric tons, according to NOAA Fisheries. The product was valued at $530 million making Alaska one of the world’s largest manufacturers of the basis for imitation crabmeat, commonly featured in California roll sushi and deli-style seafood salad. Most Alaska-made surimi goes to buyers in Japan and South Korea, with the rest heading to China, Russia, former Soviet-bloc countries and the lower 48. Lanier was in Alaska recently to unveil new technology that he says will allow Alaska to extract more profit from the surimi-making process while keeping the seafloor cleaner outside manufacturing plants. The patented technology involves shifting the pH of the water left over after making surimi, allowing proteins and fine meat particles to be captured and remanufactured into more surimi seafood products. The wastewater eventually released into the ocean after this process looks clear and is free of the foam and scum often associated with surimi manufacturing, Lanier said. Initial impressions from industry and regulators are encouraging. “It was really cool to see,” said Paul Lumsden, plant manager with Trident Seafoods in Alaska. Seattle-based Trident is a major producer of surimi in Alaska. Lumsden said he was impressed by Lanier’s demonstration at the University of Alaska’s Kodiak Seafood and Marine Science Center, using washwater from Trident’s Kodiak plant. Whether it’ll work on a large scale and be economical remains to be seen but Lumsden has already presented the idea to his board, who gave him the go-ahead to test it in one of Trident’s Alaska processing plants, most likely in Akutan. “The technology we saw was incredibly promising,” Lanier said. Lanier, a North Carolina State University professor of food science, is an unlikely surimi evangelist. With deep roots in the South, he said he knows it’s odd that a self-described Southern boy would dedicate 40 years of his professional career to such an obscure topic and with origins far from home. But shortly after accepting the job at North Carolina State in 1977, Lanier got a call from a man in Los Angeles who wanted Lanier’s help developing surimi plants in the United States. The California man was involved with his family’s production of surimi-based foods for Asian Americans. He knew the new federal law, enacted in 1976, could hurt Japanese surimi producers. Before the law’s passage, their vessels ventured close to Alaska’s shoreline, harvesting large volumes of fish to be turned into surimi in Japan. This new law mandated the eventual removal of foreign fishing from the newly created U.S. Exclusive Economic Zone, extending 200 nautical miles from shoreline out to sea. So the California businessman was afraid that the supply of surimi from Japan to his family’s company in the U.S. might be interrupted by the Japanese in retaliation. Lanier didn’t think Japanese surimi production in U.S. waters of the Bering Sea was sustainable or fair to Alaskans. The Los Angeles guy also saw an entrepreneurial opportunity for more surimi production in the U.S.
With funding from the National Sea Grant College Program, the North Carolina scientist initiated some research on this opportunity. Working at a shrimp plant in Alabama, Lanier used Atlantic croaker, caught as by-catch, to try to make surimi. Lanier sampled some and thought it could work. “I was like, ‘Son of a gun. This is better than a hot dog,’” Lanier said. With support from Sea Grant, which is charged with helping coastal communities and economies, Lanier began doing research on the surimi industry and saw possibilities. He reached out to Alaska fishing industry representatives to see if they might be interested in developing this new product. But he didn’t get a warm reception, at least initially. Lanier attended Pacific Marine Expo, a large fishing industry trade show in Seattle, and talked about the virtues of building surimi plants in Alaska. But Lanier kept trying and eventually got some interest from Chris Mitchell, who was then executive director of the Alaska Fisheries Development Foundation. 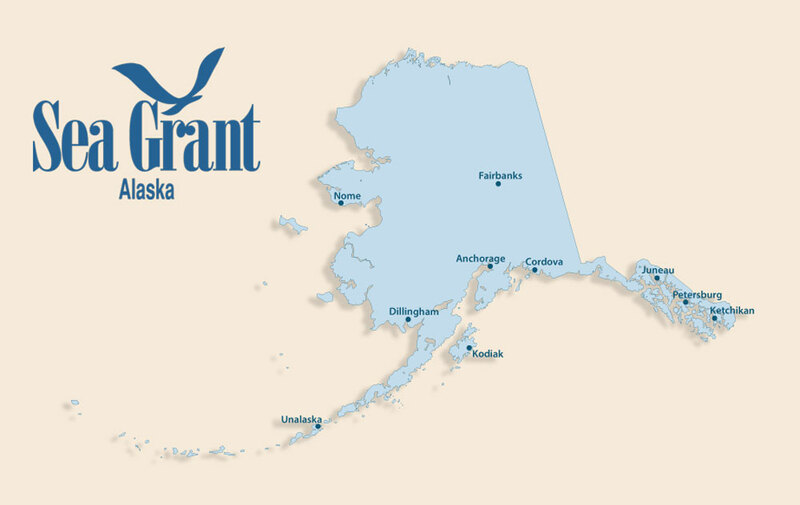 Federal grant money was acquired to construct a prototype facility in Kodiak. “Sure enough in 1984, they built a small surimi plant that used Alaska pollock. It was the first one. They flew me up and we had a big show and tell. It was a big PR push. I went on doing my research,” Lanier said. As it turned out, Alaska pollock produced a high-quality surimi and domestic production began to take hold. Surimi can be made from any number of fish species. But surimi made from Alaska pollock is considered the best because of its white color, superior meat quality and gel-forming properties, according to NOAA Fisheries. Currently the United States is the world’s second largest producer of surimi, behind China. Turning pollock into surimi involves filleting, mincing and pulverizing the meat. Then it’s washed to remove the blood and impurities. The fish paste protein is then typically stabilized with cryoprotectants such as sugar and sorbitol before freezing. The next step is to freeze the paste into blocks which have a shelf life of about 18 months. Secondary processors, like Trans-Ocean Products in Bellingham, Wash., then add ingredients like salt, egg white, starches and flavorings. The resulting paste can be turned into products like fish balls, fish sausages, imitation lobster or crab sticks, and many others. During the washing process, much of the soluble protein from the fish goes down the drain – about 40 percent, according to Lanier. Tiny particles of the fish meat also remain in the wastewater that is discharged into the ocean and eventually settles on the seafloor, forming an oxygen-depleted goo that can smother marine life. Capturing these materials from the wastewater is the whole point of the technology that Lanier and his business partners have developed. And showcasing it to seafood processors and state officials was the purpose of the demonstration last month at the Kodiak Seafood and Marine Science Center. The center is an industrial and research facility owned by the University of Alaska Fairbanks, College of Fisheries and Ocean Sciences, that hosts classes and trainings on seafood technology, product development, by-catch reduction and more. Along with representatives from Trident Seafoods and some surimi makers from the Faroe Islands, an archipelago in the north Atlantic, an employee with the Alaska Department of Environmental Conservation (DEC) also sat in on Lanier’s demonstration in Kodiak last month. Clynda Case, a DEC program specialist, watched as surimi washwater was put through a process that involved changing its pH to extract the soluble proteins and fine particulates. The processed water was then put through a centrifuge. The end result was a recoverable protein product that could be made into surimi, muscle milk, cosmetic products, and nutritional supplements, among other things. The remaining water was clear and free of solids, making it a much more environmentally friendly discharge into the ocean. “I think the idea is the processors would get a product that they would make a profit on and also have less of an environmental impact,” said Case. Reducing the amount of waste going into the ocean would likely appeal to seafood processors. Trident, for example, agreed to pay a $2.5 million civil penalty in 2011 for alleged pollution violations at its seafood processing plant in Akutan. The pollution involved large piles of fish waste on the ocean floor. As part of the consent decree, the company agreed to invest millions in strategies to better control its fish waste. Lanier said lowering the environmental footprint of surimi production was a motivating factor behind the years he and his colleagues spent developing the new protein-recovery technology for the industry. But he also did it because he hated to see so much protein going down the drain. He likened it to the cheese-making process where whey is a byproduct used in many different products including protein powders, nutritional drinks, and supplements – all part of a multi-billion-dollar global industry. Lanier sees his protein-capturing surimi technology as an avenue for Alaska to capture an additional $60 million to $80 million in new revenue annually from its surimi industry. Chris Sannito, an Alaska Sea Grant seafood technology specialist, said he was encouraged by what he saw and thinks others will be too. “One of the plant managers told me they did some calculations and figured this technology could recover $70,000 a day in lost revenue,” said Sannito.